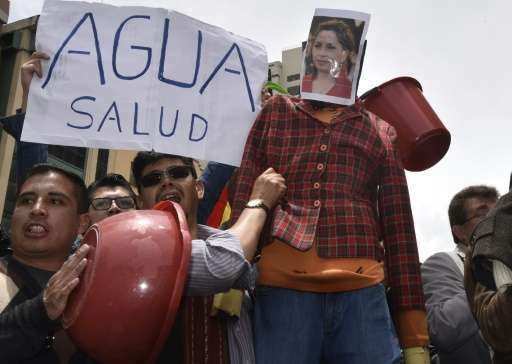 Bolivia's government declared an emergency on Monday as the country suffers its worst drought in 25 years. "The cabinet has approved a decree... to declare a national emergency due to the drought and the shortage of water in various regions of the country," President Evo Morales told reporters. He said the decree unblocks funding for the government and local authorities to tackle the shortages. Morales said 2016 has been the hottest year in a century for the Andean nation. The drought started two weeks ago and has caused shortages in seven of the country's 10 biggest cities. The state water utility EPSAS has started rationing water. Some districts are being served by tanker lorries. The shortages have sparked protests in various areas, including rural districts whose crops depend on irrigation.